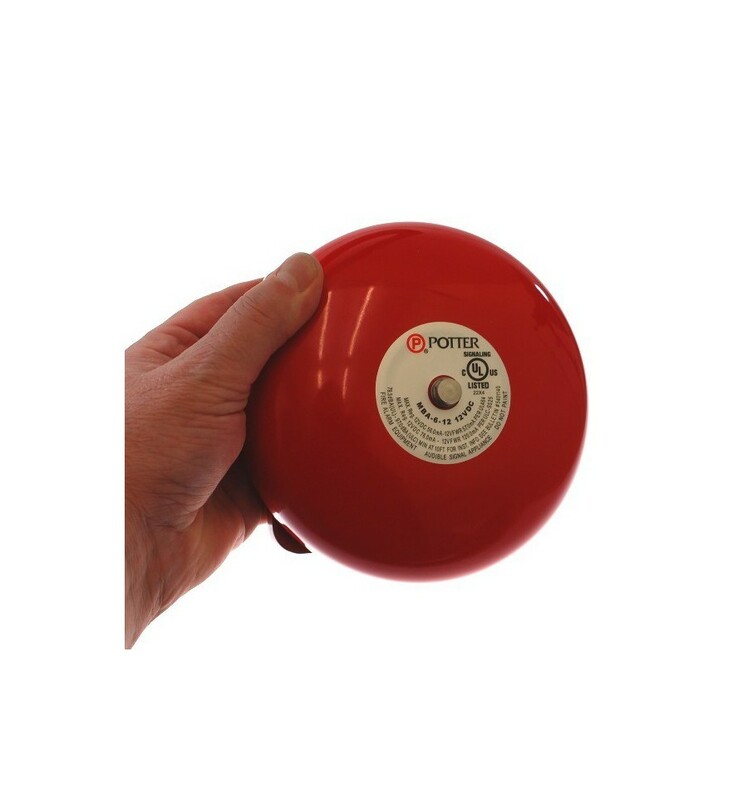 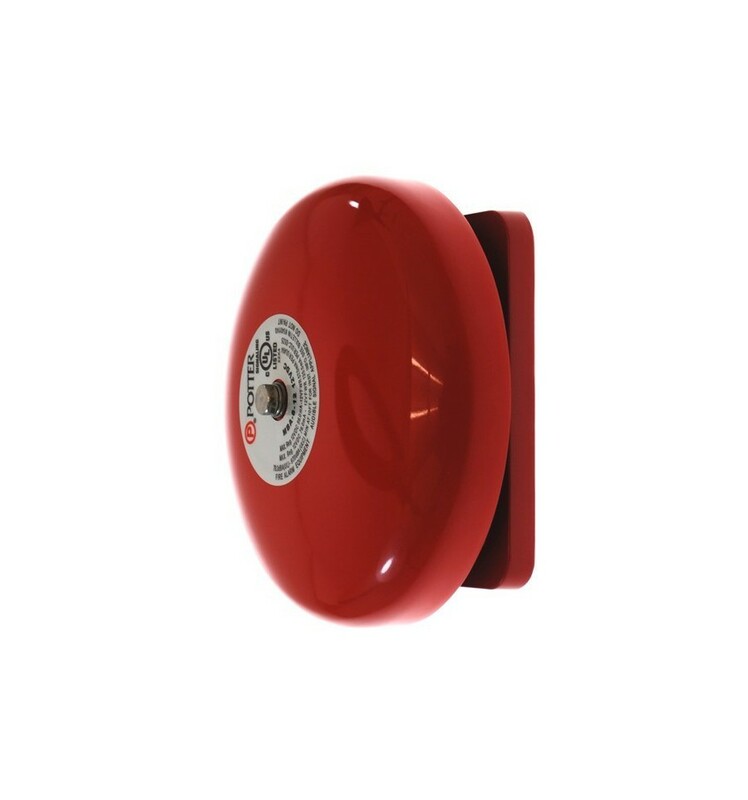 Extra Long Range (1800 metre) Warehouse Special Wireless 'S' Entry Bell System supplied with a Heavy Duty Push Button (with please ring etched onto it) and a Loud Bell. 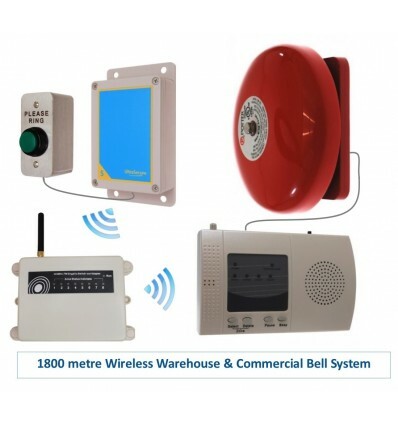 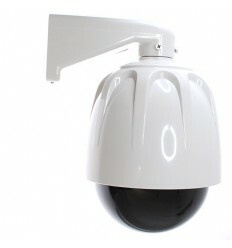 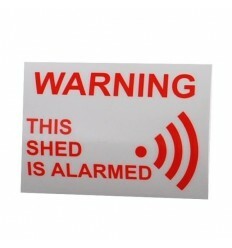 The Receiver is powered by a plug in Transformer and has a built in chime (with adjustable volume), this is connected to a 85 Decibel Bell by 3 metres of cable (this can be lengthened or shortened upon request), the Bell is fully weatherproof therefore can be fitted inside a Warehouse or in the Yard. Typical installations would have the Receiver inside a Warehouse Office and the Bell fitted in the Warehouse. 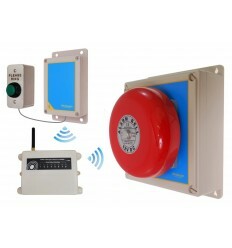 When the Push Button is pressed, a Wireless Signal will be transmitted to the Signal Repeater (which can be within 900 metres (line of site) which will then relay the signal a further 900 metres (line of site) to the Receiver. 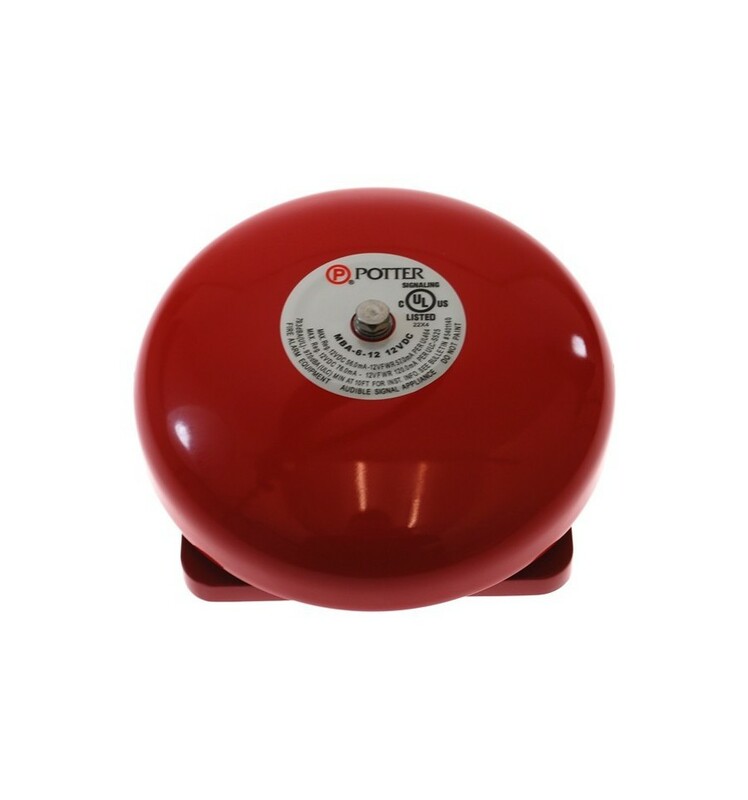 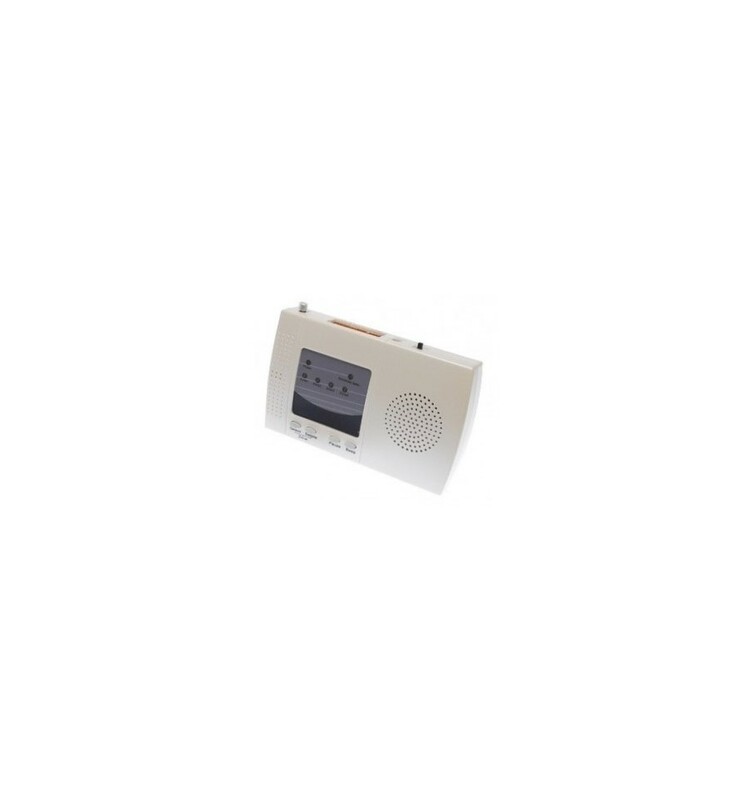 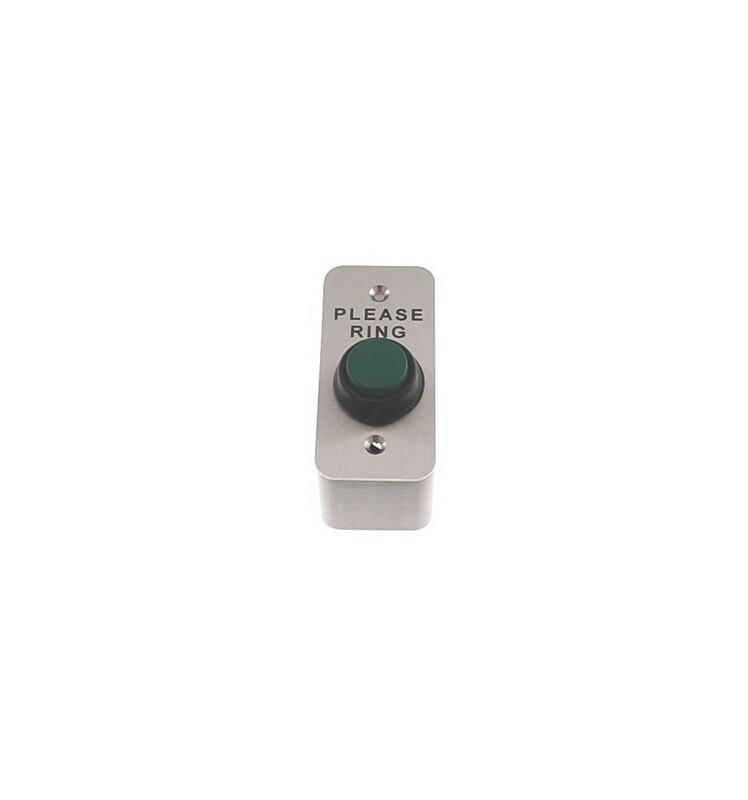 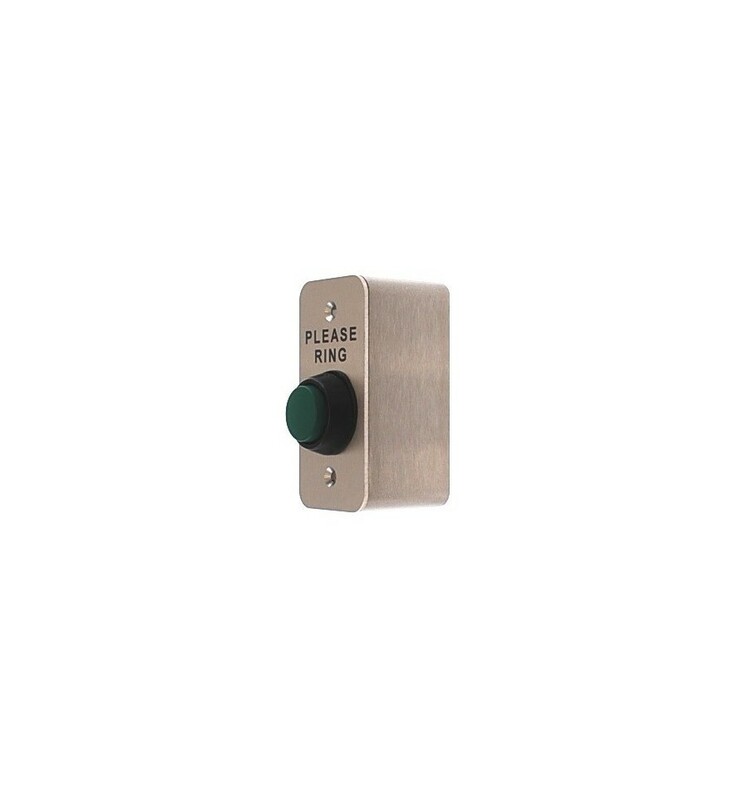 The Receiver will activate the built in Chime/Buzzer and the Wired Bell, the standard duration options for the Bell activations are from 10 - 60 seconds or 5 minutes. 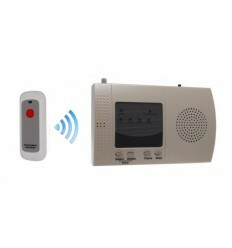 When the system is required, you simple turn the Internal Receiver OFF. 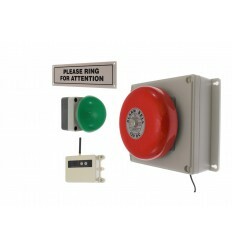 You may need to Remove the Cable between the Push Button & Transmitter Box to guide it through a hole in a Wall or Post. 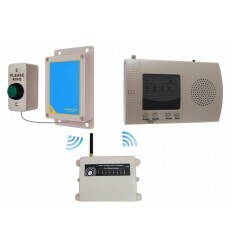 Mount the Signal Repeater (approximately halfway between the transmitter and receiver) and connect the 3-pin Power Supply into a suitable wall socket. 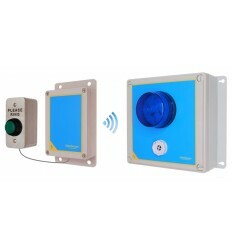 Mount the Plug in Receiver & Connect the 3-pin Plug into a Wall Socket. 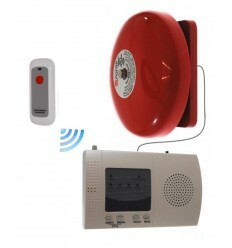 You may need to Remove the Cable between the Receiver & Bell to guide it through a hole in a Wall or Post. 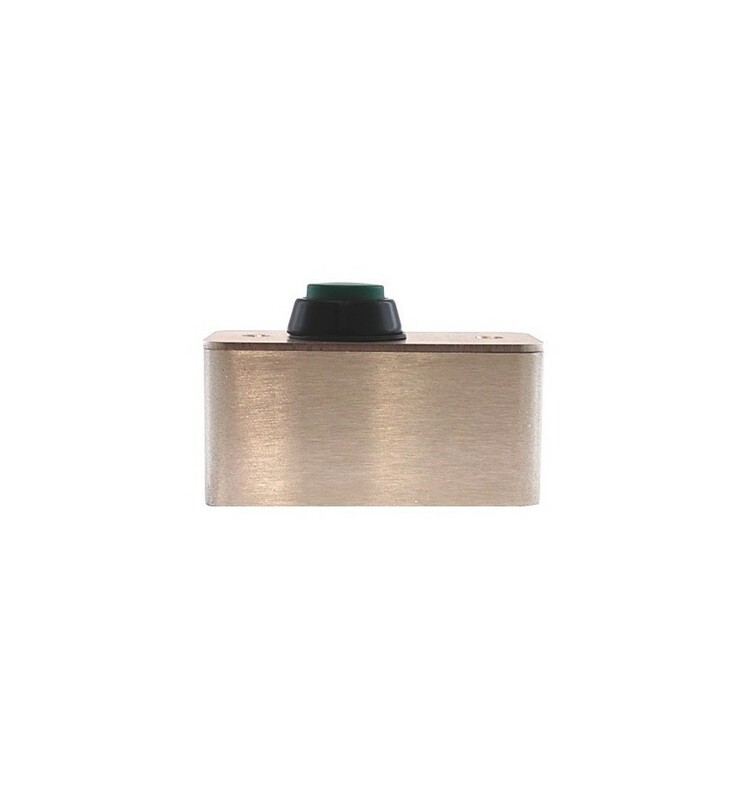 Either Cable can be lengthened or shortened during the Installation using simple 2-core Bell Cable. 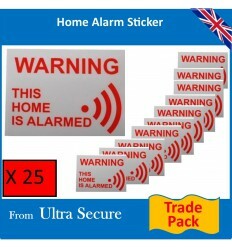 'S' Range Long Range Wireless Alarm Siren Panel with a built in Latching adjustable Siren & Blue Flashing LED, mainly used in Panic & Safety Alarms (requires a wireless or wired reset button). 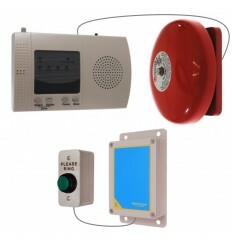 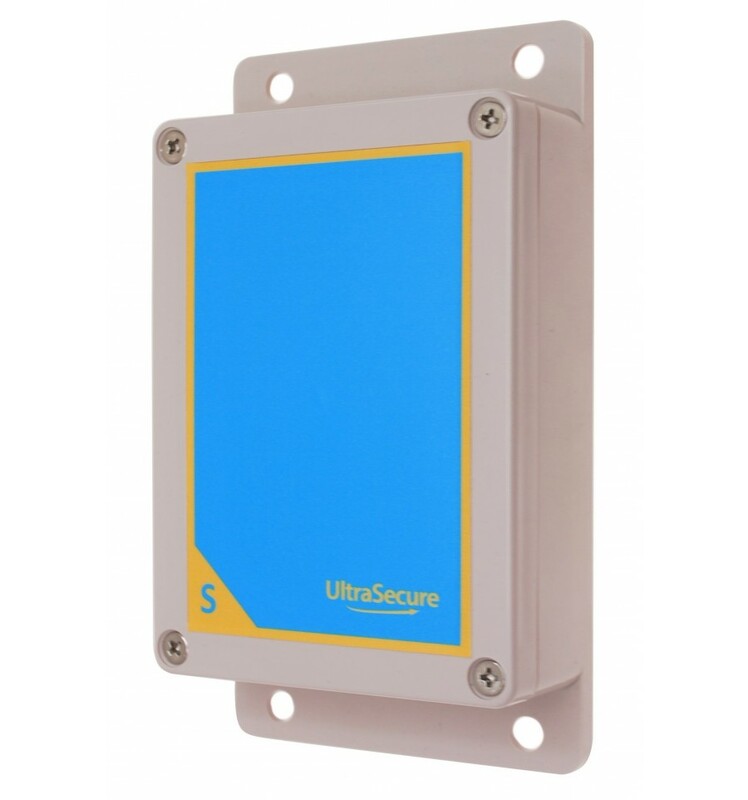 'S' Range Long Range Wireless Alarm Siren Panel with a built in adjustable Siren & Blue Flashing LED, used in Long Range Bells, Alerts, Panic & Safety Alarms. 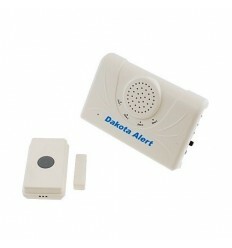 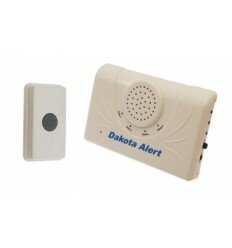 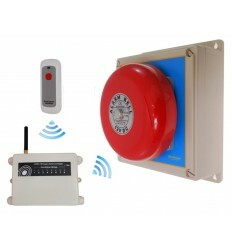 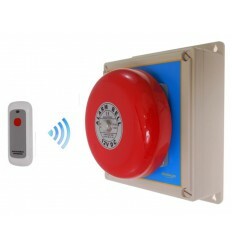 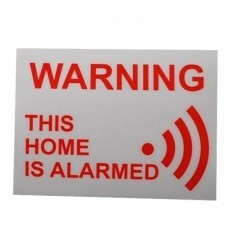 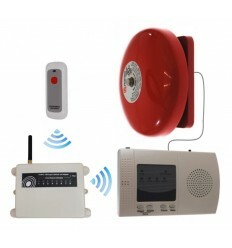 'S' Range Long Range Wireless Alarm Siren Panel with a built in Latching 118 Decibel (loud) Siren & Blue Flashing LED, mainly used in Panic & Safety Alarms (requires a wireless or wired reset button). 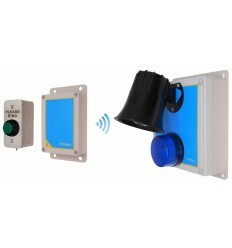 'S' Range Long Range Wireless Alarm Siren Panel with a built in 118 Decibel Siren & Blue Flashing LED, used in Long Range Bells, Alerts, Panic & Safety Alarms. 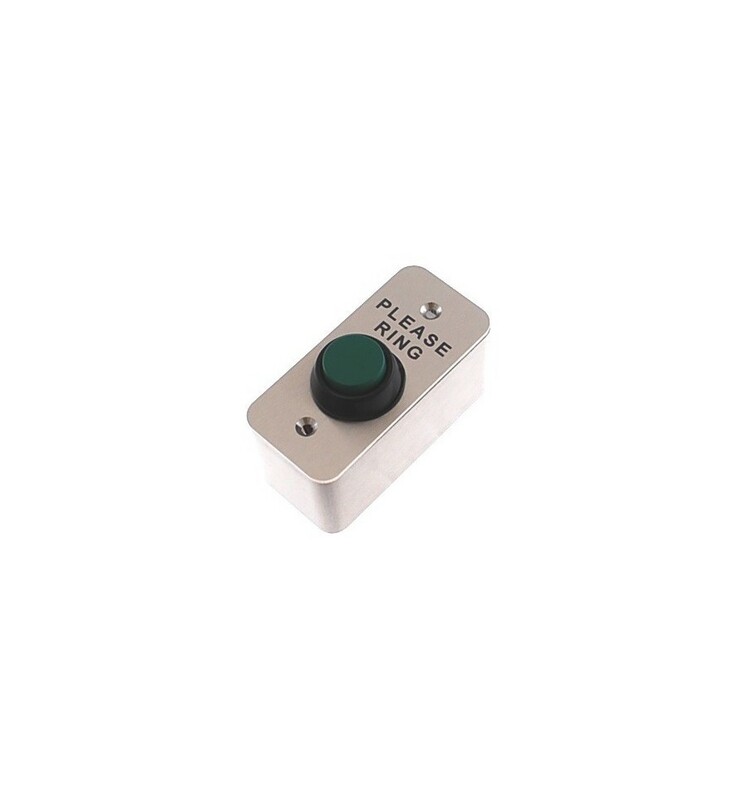 1 x Plug in Receiver. 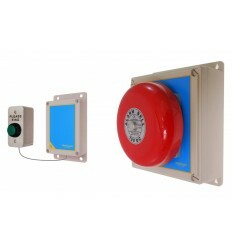 2 x 3 metre Bell Cable. 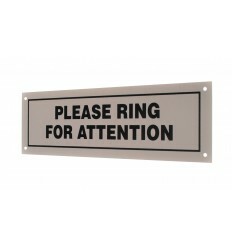 Receiver Size: 160 (W) x 105 (H) x 35 (D) mm. 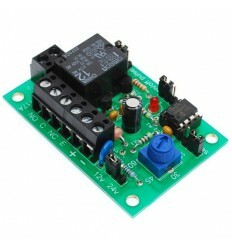 Power Supply: 15v DC 1amp (3-pin plug in transformer). Max sets of Beams per Channel: 32. 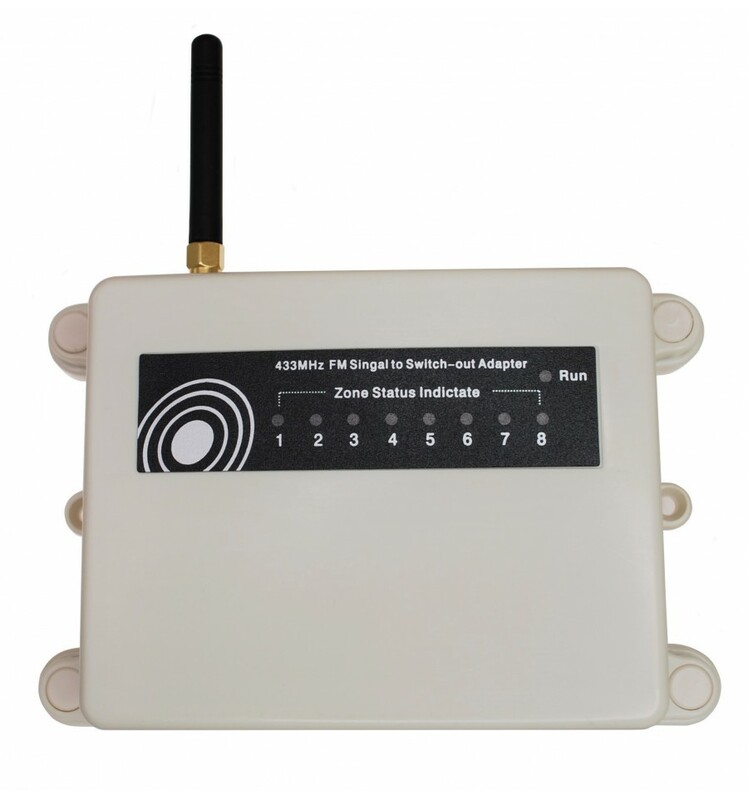 Maximum sets of Detectors per Receiver: 128. 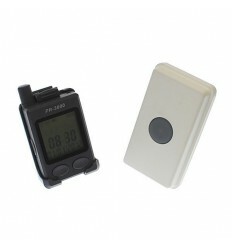 Output Voltage Duration: 1, 10, 60 second & 5 minutes. 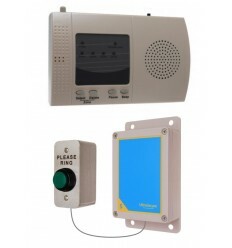 Built in Chimes: Yes (one per channel). 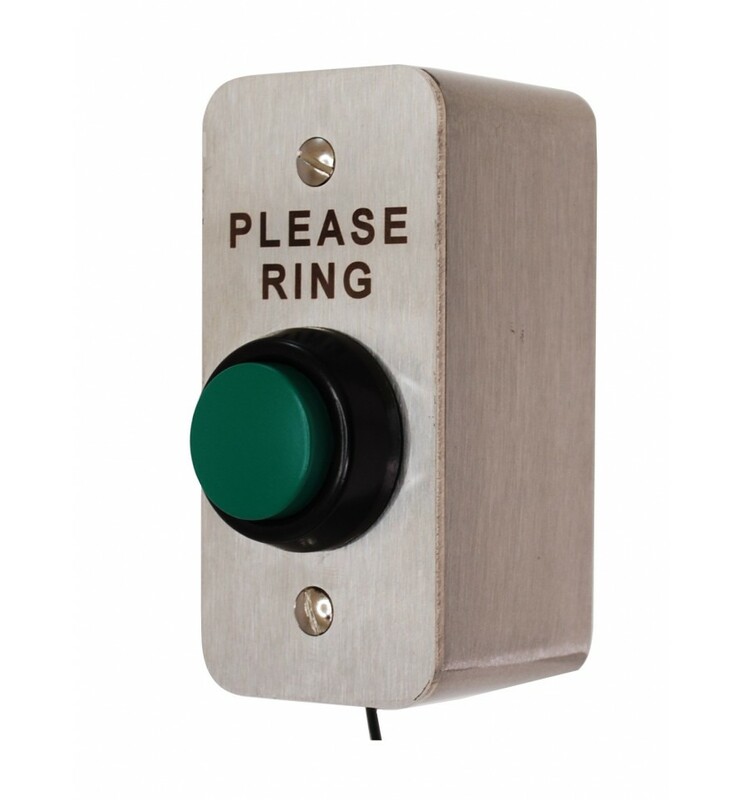 Reminder Bleep: Yes (if programmed). 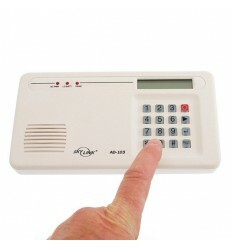 Exit Delay: Yes 5 minutes (if programmed). 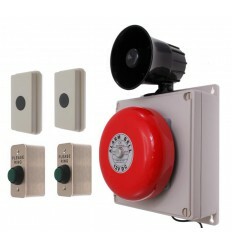 Relay Rating: 24v DC or 120v AC (2 amp). 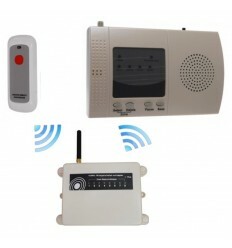 Wireless Working Range: 900 (line of sight).